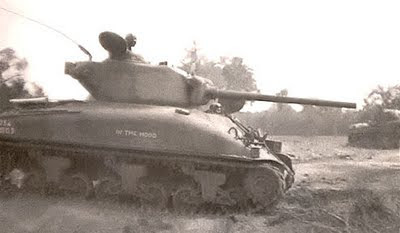 The Flames of War US Tank warrior from Cobra or Turning Tide, Staff Sergeant Lafayette Pool. Unlike all too many FOW "Warriors", Pool actually existed and had a distinguished career. Pool served in 'I' Company, 32nd Armored Regiment, US 3rd Armored Division, serving from 1941 to 1944. As part of the 'Spearhead' he saw combat in France, Belgium and German, leading 21 full-scale attacks during some 81 days of combat service. He and his crew were credited with destroying some 258 enemy vehicles, including 12 tanks, as well as accounting for over 1,000 enemy personnel and capturing more than 250 prisoners. 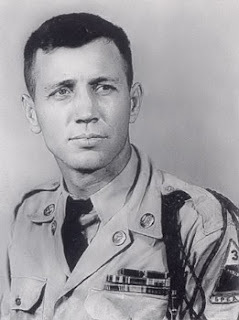 During his career he was twice-recommended for the US Congressional Medal of Honor, though never awarded. He was however awarded the Distinguished Service Cross, the Legion of Merit, the Silver Star and the Purple Heart, as well as the Belgian and French Légion d'honneur. Pool served in three different Sherman tanks, the first being a 75mm-armed M4A1 Sherman, the second and third being up-gunned M4A1 (76)W, as depicted here. All his tanks were named 'In The Mood', the first and third vehicles were KO'd by enemy action, the second by USAAF P-38s mistaking US tanks for German. Serving in the third M4A1 76mm near Stolberg, Germany, on September 19, 1944, 'In The Mood' (No. 3) was hit by German fire and Pool was severely wounded, later losing a leg. A good summary of Pool's tanks can be fond HERE. The rest of the tank I kept fairly uncluttered as I much prefer clean lines, so no extra track-links, etc., and limited stowage. US Combat Engineers, figures again by Battlefront. I'd be interested in getting some Forged in Battle casts to see how they compare with the old BF range which is still IMO the best US WWII infantry range (don't get me started on the "new" range). 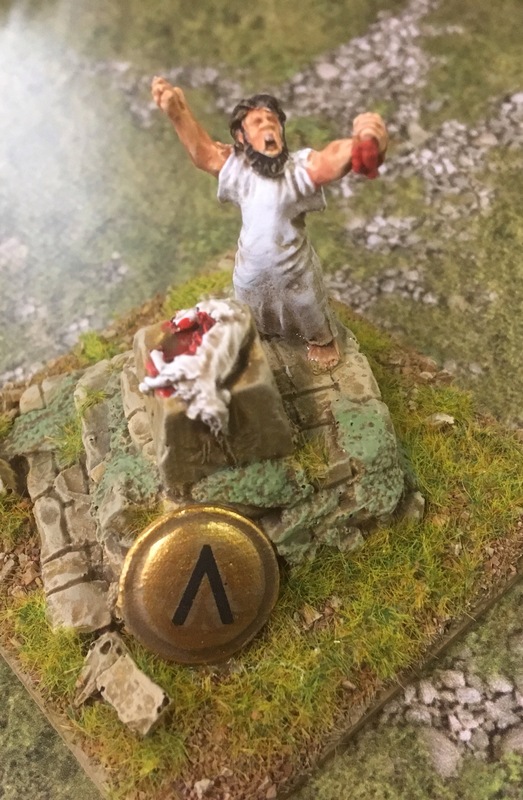 Despite my liking for these figures, I still feel US infantry are a little under-represented in 15mm, which is a pity as they are an interesting subject. Battlefront figures, enough for an Armoured Rifle Recon Platoon or the Cavalry Recon dismounts. I'm not too happy with the pics, they are quite washed-out and the highlights on the jackets hardly show. I detest that officer figure.